Updated: 2006-09-26. Something not right? Please update the information. Hiking trails, formal campfire circle, chapel, pioneering supplies, sledding, snowshoes available, skis available, mountain bike trail, sports field, fishing. Located in the Seymour Demonstration Forest, the site offers forested and open areas. 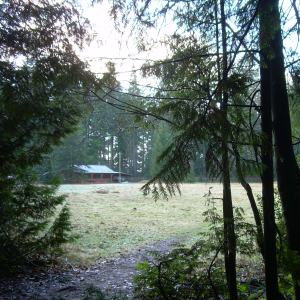 This site is suitable for day and overnight outings for all ages and offers a large building, washrooms, and running water. There is a covered outdoor cooking and washing area and a large bunk house (Cub Hull) that can sleep up to 16.